In a walking tour in Athens city you can see archaeological exhibits at the Syntagma Metro station, you can soak up the atmosphere of ancient Athens, as you explore the Plaka's paved streets. Enjoy spectacular views from the Parthenon, which crowns the Acropolis with a professional local guide. Whether you're staying in Athens or arriving on a cruise ship at Piraeus make sure that you make time to see all the major sites Athens has to offer and squeeze in an authentic Greek lunch and shopping in Plaka. Must-see sites include: the Acropolis with the Parthenon, Propylaea, Erecthion with the Porch of Maidens and Mars Hill, Hadrian's Arch and the Temple of Zeus.You will be amazed by the Panathinaiko Stadium, where the first Olympic Games of the modern era took place,such sites as Dromeas (The runner), a statue made entirely from sheets of green glass located on the Marathon road and the magnificent mansion and park of Zappeion . According to the professional guide, the Olympic Games were the greatest national festival for the Athenians. Held every four years, athletes came from all regions of Greece to compete in the great Stadium of Olympia and honour their supreme god, Zeus. The most important of the competitions was the pentathlon, in which an athlete competed in five different events. At the end of The Games, the winners were crowned with olive branches. Ancient Greece was one of the largest contributors to present-day civilization. Democracy, philosophy, astrology, biology, mathematics, physics, and the theatre are just a few of studies begun by the Greeks. Words and thoughts from great men such as Plato, Socrates, Pythagoras and Aristotle are still taught in universities to this day. This was a great civilisation, far ahead of its time, whose beauty and knowledge will live on for many generations to come. Visit the historic neighbourhood under the Acropolis taking an Athens walking tour. It retains its charm despite all these years and being overrun by tourists in summer. Anafiotika place is one of the most beautifully picturesque places in Athens. The houses were built by tradesmen from the small island of Anafi, brought in to build the king's palace during the renovation. 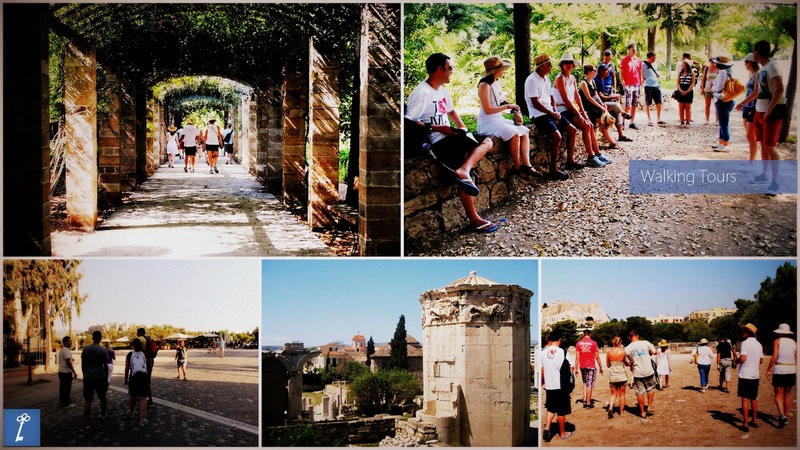 To sum up, the tour guidance and the Acropolis tour was extremely helpful and informative. If anyone had another chance to visit Greece, he would definitely do this again! Book online your custom walking tour with Keytours!